Welcome to my Astrophotography webisite. This is a website of deep sky astrophotography. Most of my astrophotography were published in various Japanese astronomical magazines and TV. My favorite photography is the one of the Andromeda Galaxy that was featured in the Universe Today. I like to use Takahashi Telescopes for taking pictures. So, I have been producing a lot of astronmical photography which are taken with Takahashi telescopes and SBIG CCD cameras. I also use DSLR cameras to take some pictures. There are so many pictures in this website. Please take a glance when you have minutes. I hope you enjoy browsing my website. All images are Copyright © 2007-2013 Takayuki Yoshida. If you have any questions or suggestions, please send a email through Mail Form. 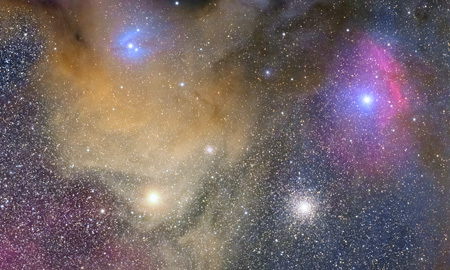 I've uploaded a new image, Rho Ophiuchi Cloud Complex. Please take a glance at my new photograph. Copyright © 2007-2017 Takayuki Yoshida.